Eastern Amberwing, originally uploaded by Tom Arbour. 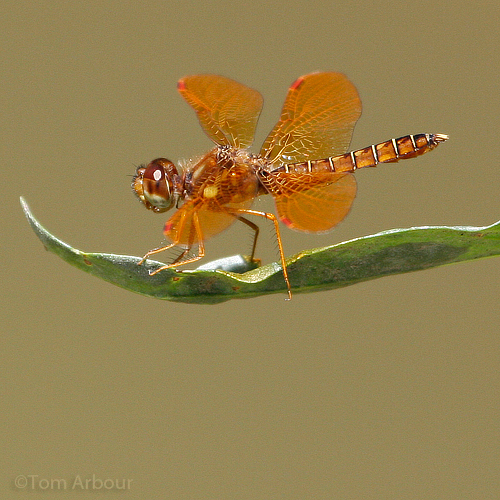 This tiny little dragonfly is most often mistaken for a bee or wasp, but when viewed closely, it's clearly a dragon. Taken this afternoon on the Olentangy at Kenney Park. How interesting, I'm heading to the pond, today to look for these. Gorgeous colour and details on his body. You catch the most amazing shots!